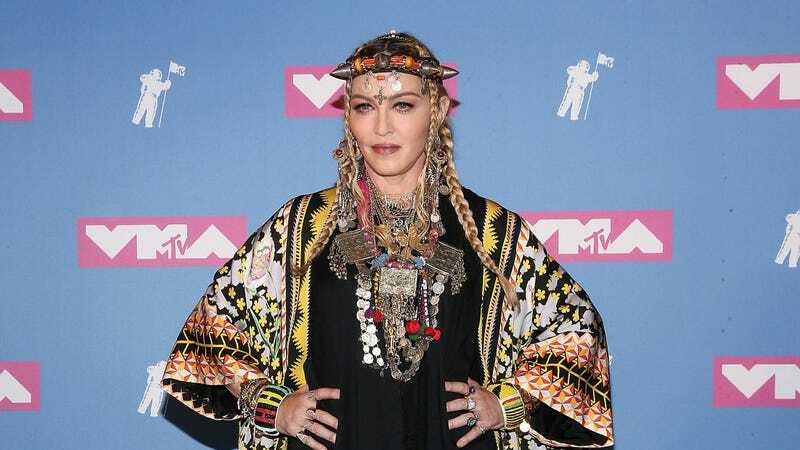 Not to be outdone by whatever Taylor Swift is up to, Madonna is also teasing something new with her Instagram page—though, unlike Swift, it seems a little more obvious that Madonna is actually about to release new music. As reported by Entertainment Weekly, Madonna uploaded a stylish trailer of sorts to her page, revealing that she’s releasing a record called Madame X and explaining that the Madame X character is some kind of secret agent, “traveling around the world, changing identity, fighting for freedom, and bringing light to dark places.” She also lists some of Madame X’s résumé, saying she’s “a dancer, a professor, a head-of-state, a housekeeper, an equestrian, a prisoner, a student, a mother, a child, a teacher, a nun, a singer, a saint, a whore,” and “a spy in the house of love.” Oh, also, Madame X is Madonna… or is Madonna really Madame X? We don’t know about that, and we also don’t really know how this relates to the Madame X album, or when the album will come out.